Buy More Basket Box Benches Save More! Large bench insert with white matte kraft on one side and brown matte kraft on the reverse. Has fold up back support that measures 9" high x 9.5" wide (does not include the height of the bench itself). The bench measures 9-5/8" H x 5-1/2" W at the top and tapers down to 7-7/8" L x 4-1/2" W and is 5-5/8" tall. 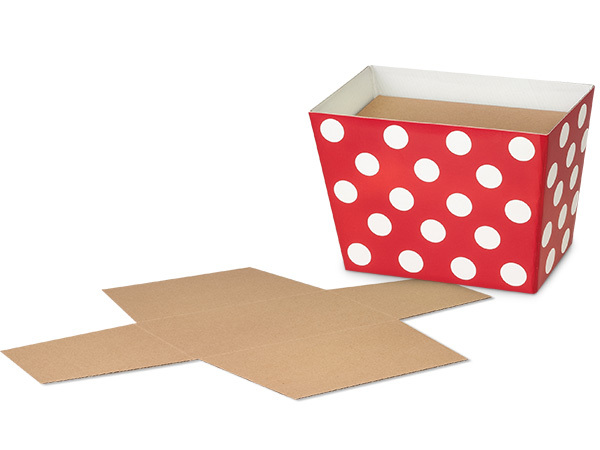 Perfect for support of heavy items for a gift box and uses less filler. Gift Basket Benches help you save time and money. Use less shreds! Benches are available to fit large, medium and small gift basket boxes. Choose the white bench with the backer board to add support to tall displays. Brown kraft bench has no backer board.